The sponge is a modified Mary Berry recipe from her book “100 Cakes and Bakes” published in 2011. I have halved the amount of sugar and will be using a differently sized tin for baking. You will need about 60g in pink, 60g in peach, 60g in yellow, and 30g in light green. You do not need to add any flavouring, as the cake is so lemony already. Preheat your oven to 160 C Fan. 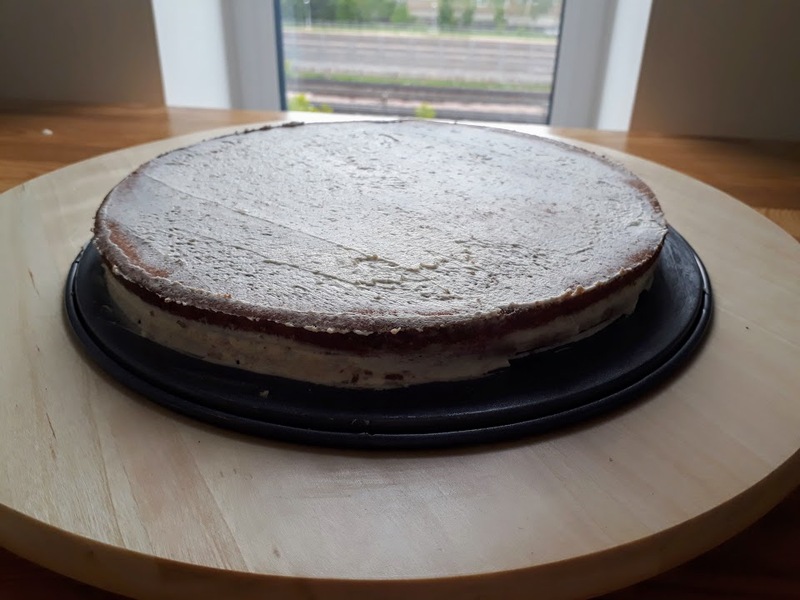 Line a 23cm baking tin with baking paper. Mix the sugar, butter and egg yolks until well combined. Add the yoghurt and lemon zest, mix until smooth. Fold in the flour using a silicone spatula. Whisk the egg whites to soft peaks and fold in, taking care to keep the volume in the egg whites. 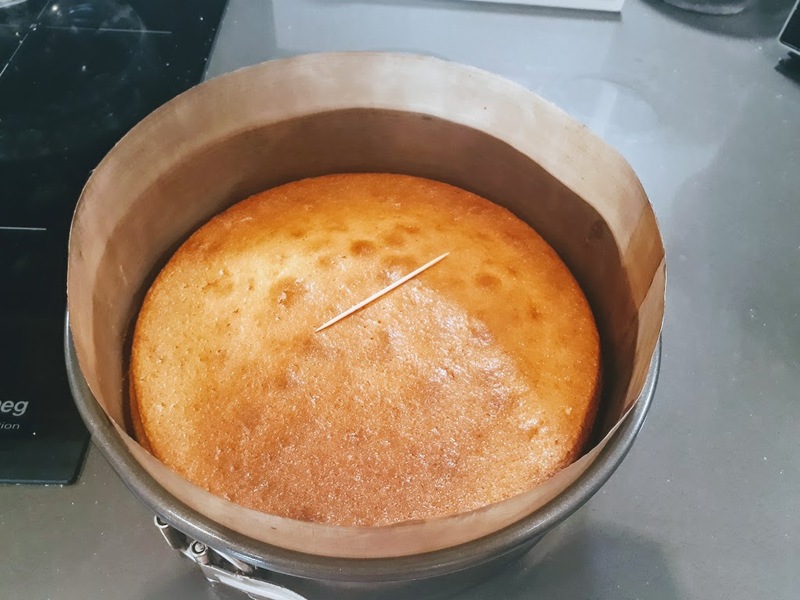 Bake in the tin for 1 hour. Prick the centre with a toothpick to test if it is cooked through; the toothpick should come out clean with no raw batter on it. 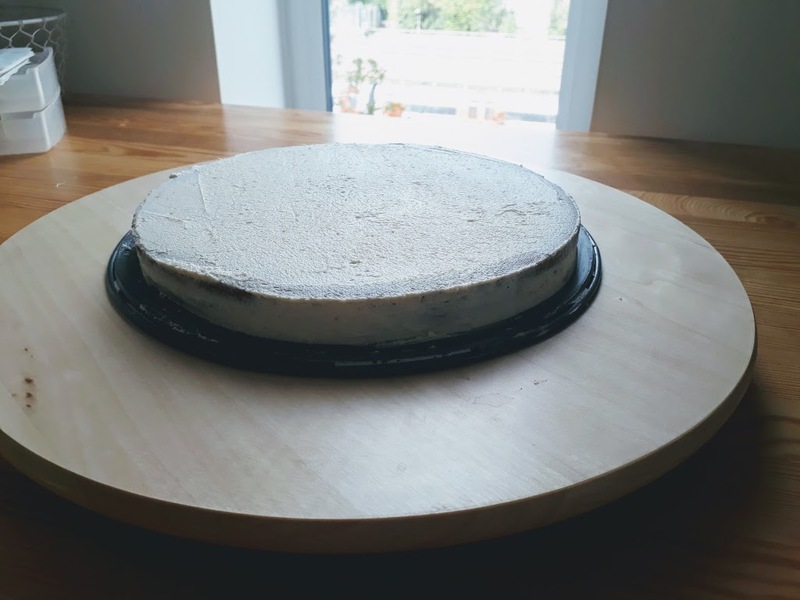 Leave the cake to fully cool before decorating. While it is cooling, make the lemon curd and cream Charlotte. Make the cream for icing by placing the gelatin and water in a microwave bowl and leave to stand for a couple of minutes. Once the gelatin has bloomed, microwave for 10 second intervals until it is fully dissolved. Let this cool, but not set. Whip the cold cream, adding in the icing sugar, followed by the gelatin. Whip till stiff peaks. Cut the cake to make 2 layers. Cover the bottom layer of cake in the curd, then in the stabilised whipped cream, and cover with the top layer. Cover the rest of the cake in a thin layer of the stabilised whipped cream, put into the fridge to stiffen. 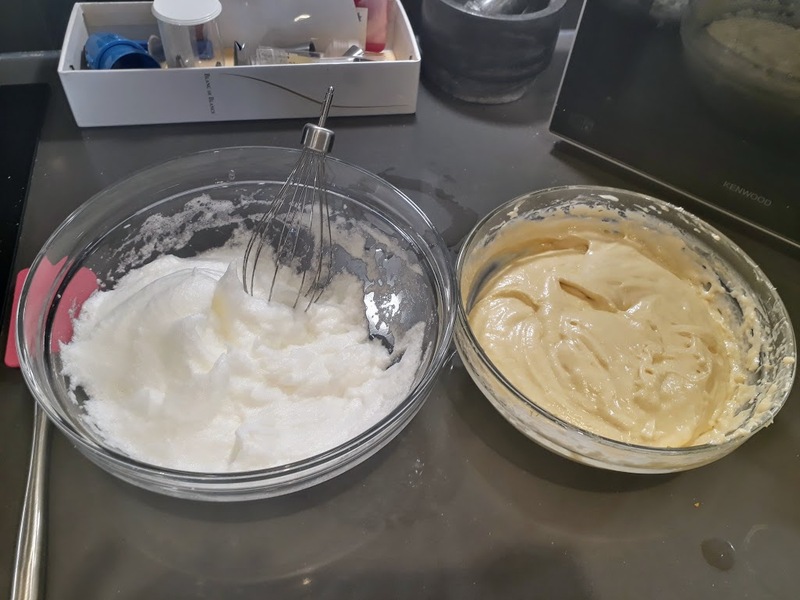 Once cold, cover in the rest of the stabilised whipped cream in a thicker layer and put into the fridge to stiffen again. 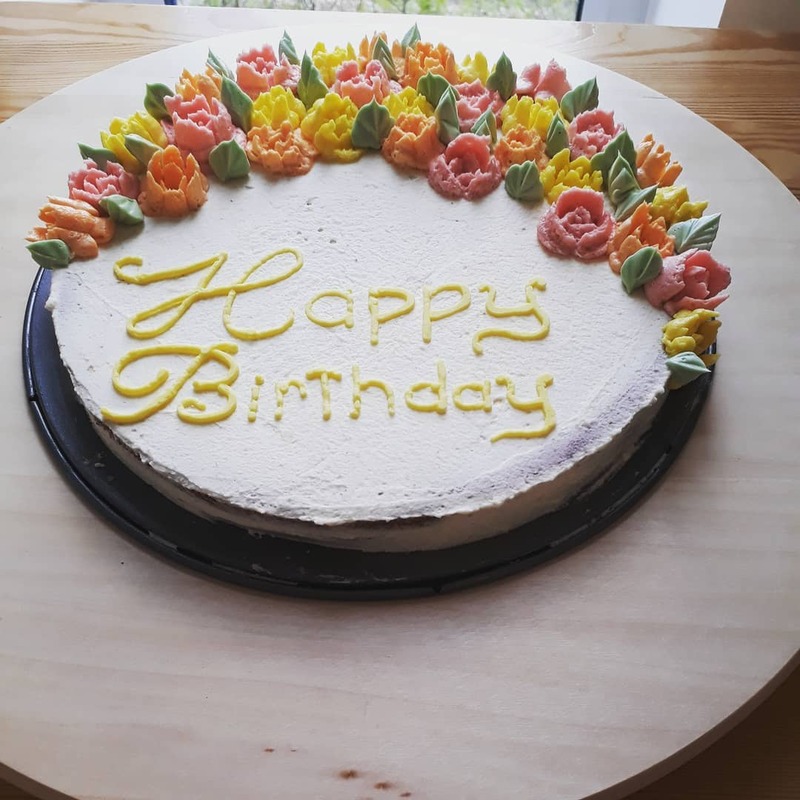 Use the cream Charlotte to make flowers. There are several designs you can do depending on the celebration. For tips on flowers and piping text see this post on piping tips and tricks.